Buy the look: Classic Black Darling . : Sequins and Sand Resort Wear :. Black. A Classic. Loved by our southern girls more than most, it's a go to for many. This look is a modern take on that classic colour. The Batwing Onepiece takes its lead from the very popular off the shoulder look and turns it into a glam option for those precious resort escapes when sashaying from pool to bar and beach is all part of the daily routine. Stunning. Thanks Evie, one of our #CossieConfidence Crew girls from SA. How amazing is this black onepiece swimsuit?! Something completely different and definitely for those who like to steel the show! The feature frill over the one piece under, sweeps around and extends lower at the back and is simply striking. Also available in plus sizes up to a 26, this swimsuit offers a fabulous twist on the classic one piece. Sure to be loved by many. and then a strapless versions of each way! 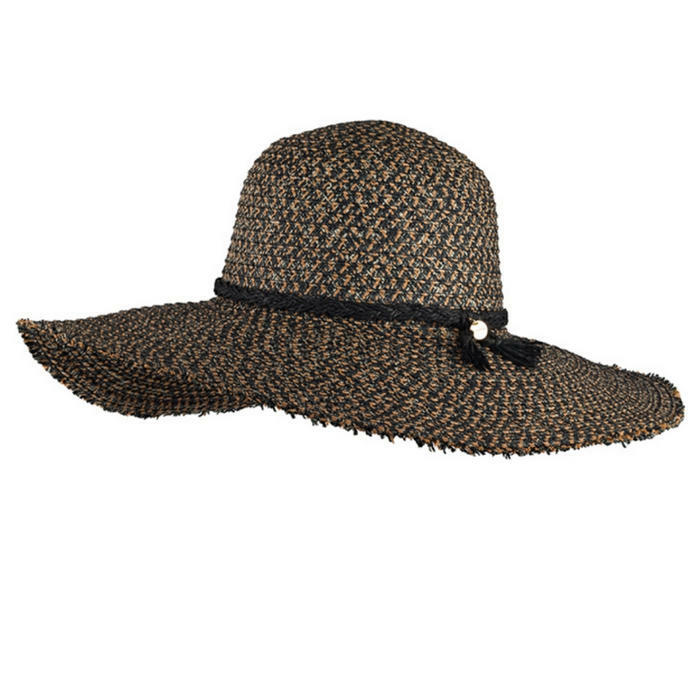 For a beach ready look pair with a fab hat. Add strings of bling and dress this cossie up for better day time do's and nights out! Who would know you can also swim in it! Not only does the Sierra Wide Brim Hat from Kooringal offer fantastic cover, it's also a more than stylish wear for a beach outing when you wish to look your best. A classic hat shape - striking and oh so stylish for summer. A take anywhere hat that says, I've arrived and I've got this. Need a little extra swimsuit coverage for that walk along the beach?